The growing trend towards preserving "heritage" pieces has literally brought the old traditional 'bathtub on feet' back into vogue..
George Yammouni, spokesman for the Bathroom Werx group, told us that the demand is growing by the day. "A few years ago, we restored some of these old "ball and claws" as showroom pieces, and we haven't looked back since. We never cease to be amazed at the number of old freestanding bathtubs still sitting out there in family homes." 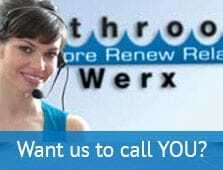 Bathroom Werx can now restore your old bathtub, or if you don't have one of your own, their showrooms offer a wide choice of meticulously restored antique bathtub pieces as well. They'll even colour match your antique pedestal basin to your bath, your tiles, walls or floor tiles. Once your old bathtub has its rust, chips and age old stains removed, it is re-enamelled with the unique Werx Enamel. 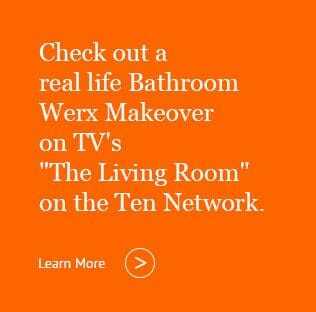 Bathroom Werx covers their materials and workmanship with a written 7 Year written guarantee. You can choose from traditional "heritage" colour schemes, go ultra modern or mix and match. Mr Yammouni adds "Our bathroom restoration centres carry both reproduction and modern accessories. Most people don't realise what a wide choice they can enjoy these days. I always advise people to drop in to see for themselves."